Back in '87, I was pouring drinks for folks in Jackson Hole, WY. Nowadays I'm serving up something a little different. Same bars, better lighting. Since I first set foot onstage, courtesy of the legendary Pinto Bennett and his Famous Motel Cowboys, I've logged a lot of miles on this honky-tonk highway. The names have been changed, despite the fact the no one was really innocent. But the feelings are all honest, and I can live with that quite nicely, thank you. Most of the feelings were inspired by the great people whose paths I have had the good fortune to cross. I owe them my thanks. And thank you too, for taking the time to listen. Right now you're browsing through these notes. Me, I'm probably somewhere between Austin and Bozeman, blowing down the road and looking for a neon sign. If you see me coming, give me a wave. Better yet, flag me down and say hello. Has It Really Been Thirteen Years Since I Wrote These Lines? Wow! Well I stand by every word and by these songs which are presented in their original form. No retouching. This release is dedicated to Marge Mueller, who passed away July 25, 2004. 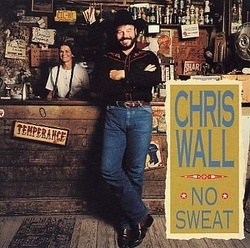 I first met Marge the day she popped up behind the bar at Luckenbach and became part of this cover. We became fast friends after that.